NEW Dual Rockin & Rollin Rough Seas Part 1 AND Part 2! Includes: The Open Class, The Modified Class and the P-Class. This is a combination of thursdays race and sundays final event. Rough water, twelve mile laps, true offshore racing at its finest. Some of the boats include: Ohio Steal, Sloppy Joes, Systems, Brook Athletic Shoes, Heavy Metal, H&H, CT Pepers, Lightning Jacks, Pensoil, High Risk, Rivited, How Sweet It Is, American Express, Priority, Cat In The Act, Arosaki, Nomad(Zero Defect), Jaws, Spirit of Texas, Boat Open Class #77(no name maybe Lauren Libel), Phenomenon, Sudden Impact, Incontempt, and many more! 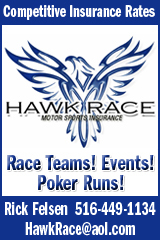 Classes Include: Stock class , A,B, & C class, This is a combination of Thursdays race and Sundays final event. 12mile, rough water laps. Obsession, Magic Potion, Stalker, No Mercy, Secret Agent, Pepsi, Muscle, Zero Gravity, Intense Marine, Conch Attack, Team Extreme, Cutting Edge, Havoline, Accurate Marine, The Heat Is On, Barracuda, Kamikaze, Furst Scarab, Bermuda Racing, Cutting Edge, Renegade, Wings of Fire, Wizard, Instigator, Great Lakes Caster, Xplosive and many more!